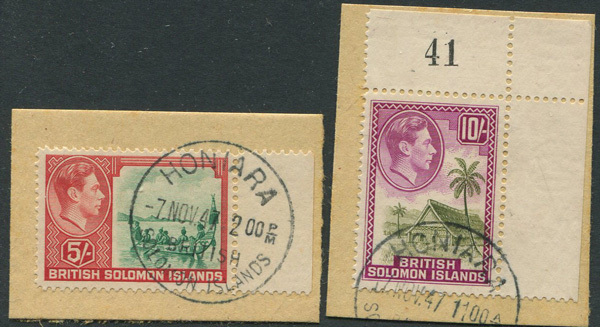 Showing items in Stamps and Covers - Solomon Is. plate 1 marginal copy, u.m. 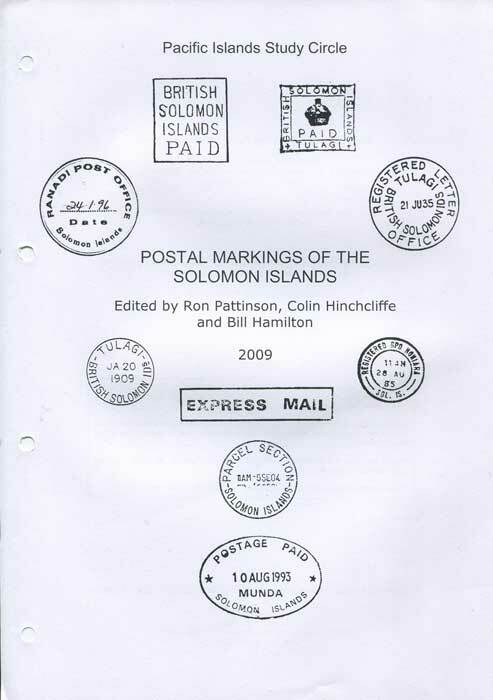 PATTINSON Ron and HINCHCLIFFE Colin & HAMILTON Bill Postal Markings of the Solomon Islands Pacific Islands S.C. 2009 233pp. 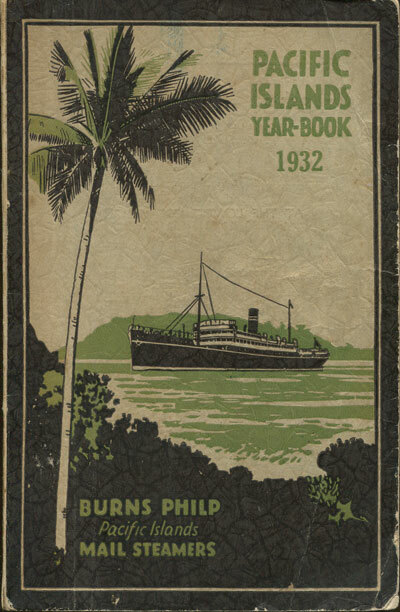 1st ed., loose, punched for ring binding. 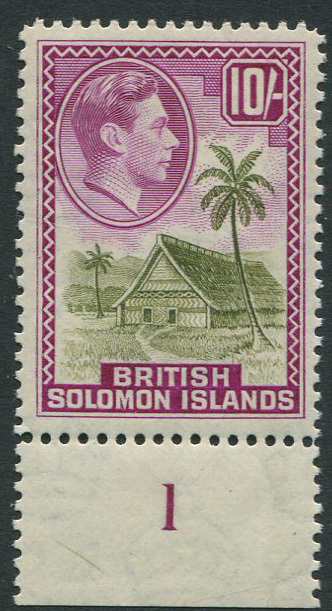 LANDS DEPARTMENT Map of the British Solomon Islands Protectorate Waterlow & sons, London. 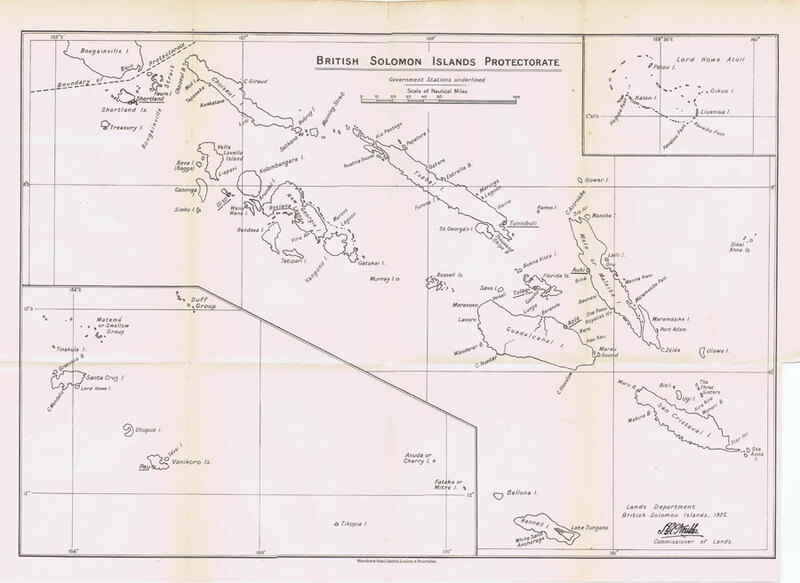 1925 Uncoloured map. Folded. 17 x 13".